Our twin town is Hachenburg which is situated in the Westerwald region of Germany. The Town has many similarities with Higham Ferrers in that it has a well preserved Town centre with many beautiful old buildings in a style called fachwerke in German and half timbered in English. The town is in the heart of a beautiful region and has an area close by called the Kroppacher Schweiss which is an area very reminiscent of Switzerland with small villages nestling in wooded valleys, and the magnificent abbey at Marienstatt which is nearby. 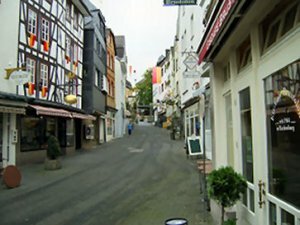 The town lies about 95 kilometres to the east of Cologne and is an ideal touring centre. 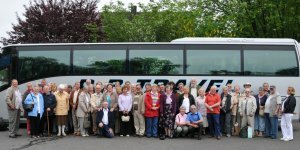 There is a Twinning Group which organises visits on a bi-annual basis with a group visiting Higham Ferrers on the alternate years.